Banking on the skills of our qualified team of professionals, we are involved in a manufacturing of Industrial Filling Machine and much more. Our company also providing the Packing Machine Repairing service. 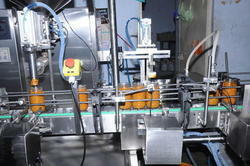 Founded in the year 2012, Sai Vaishnav Pack Packaging System is one of the famous names in the market. The ownership type of our corporation is a Sole Proprietorship. Location of our firm is Hyderabad, Telangana (India). 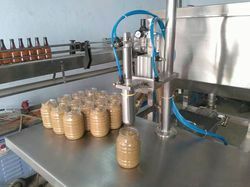 We are the leading manufacturer of this domain, engaged in offering a wide range of products such as Industrial Filling Machine, Industrial Packing Machine and much more. Our company also providing the Packing Machine Repairing service. These products and service are well tested on various quality parameters. Outfitted with the advance and sophisticated infrastructural unit, we have been able to provide the need of our clients. 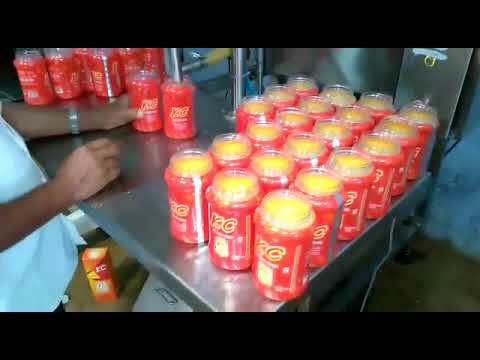 The products are surely examined and the company makes sure that products are to be quality approved. This infrastructure base is fully furnished with ultra-modern technologies and production machines that enable us to manufacture superior quality products. It comprises numerous departments like manufacturing, production, administrative, sales and marketing, warehousing, packaging and much more. Our team members are dynamic experts who work in an efficient way to achieve a common objective. All departments are efficiently handled by our experienced personnel, who carry business operations in a streamlined way. 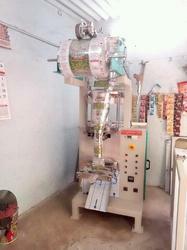 granule pouch packing machine. fill upto 10grms to 100grms.available as automatic.